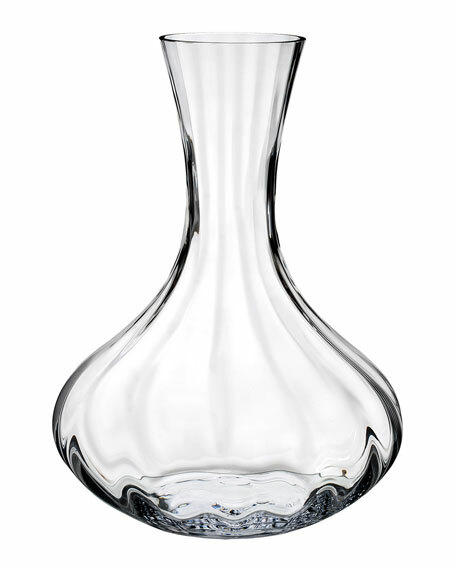 Waterford Elegance offers a new carafe with an optic design style. Waterford Elegance Optic is an excellent choice for daily use, offering subtle decoration for a relaxed yet elegant feel. Each crystal Elegance stem is uniquely contemporary in design, with a clear, delicate bowl, deep V plunge, crisp rim, pulled stem and flawlessly modern profile. For in-store inquiries, use sku #2609635.